It was a 3 workout day!?! What? AWESOME…my only word. I know some of you are thinking I’m a nut, but my day was SO hard work wise…disappointments galore…I needed it. Exercise can mend much. Aliyah and I ran 2.5, then I taught Circuit and Yoga later. 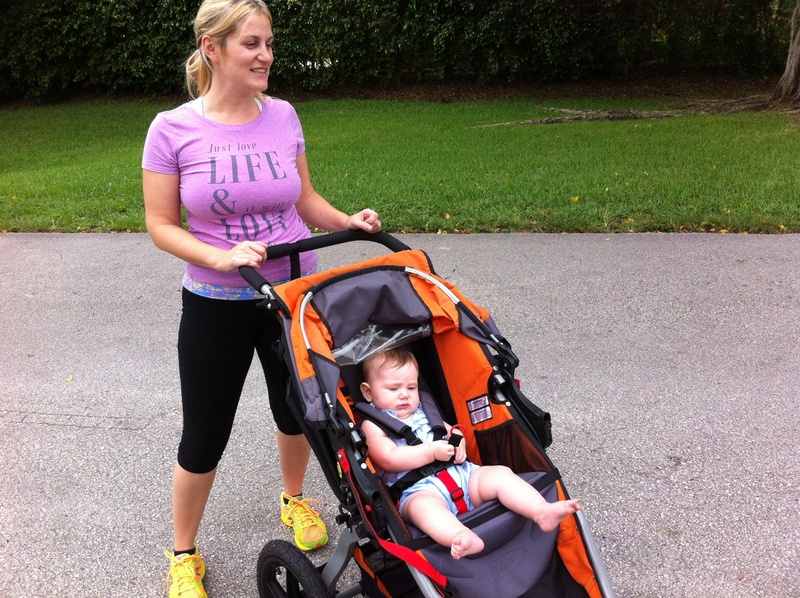 Looking back I used to run faster…I’m not gonna lie that jog stroller is tougher to push than I thought it would be! It has inspired my to push Aliyah at a 9 min pace…we are currently at a 12 min pace. Day 13: Compete with Yourself…aspiring to beat your best self is a fun way to stay positive and push ahead to be even better…not just athletically, but in all areas of life. What have you done really well that you can do even better? improve something you are already excelling at?